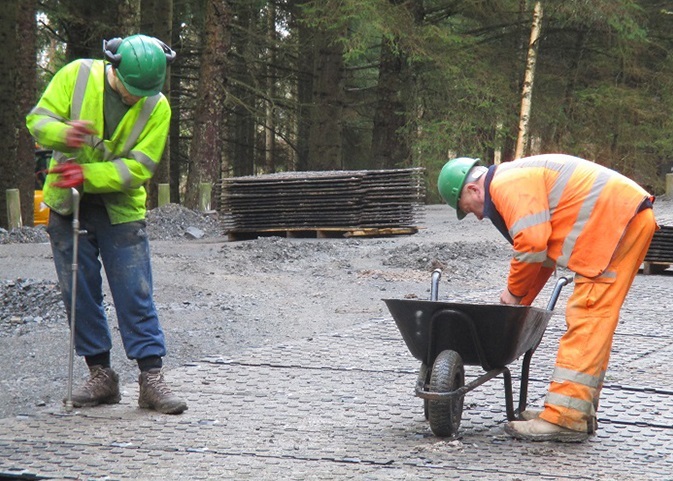 New state-of-the-art hillside forest lodges were being built at the remote and beautiful Kielder Water; the largest man-made lake in Europe. Safe access routes were needed for articulated lorries and heavy construction vehicles who would navigate the modular cabins and building materials through difficult forest terrain. 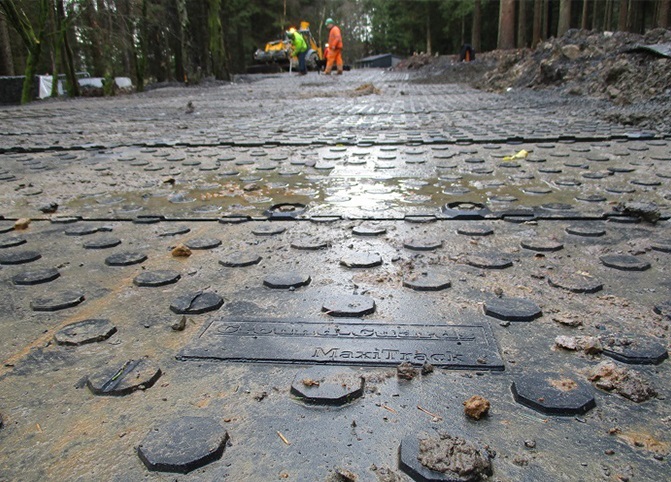 The civil engineering team on site used MaxiTrack to create a temporary roadway through the dense forest. 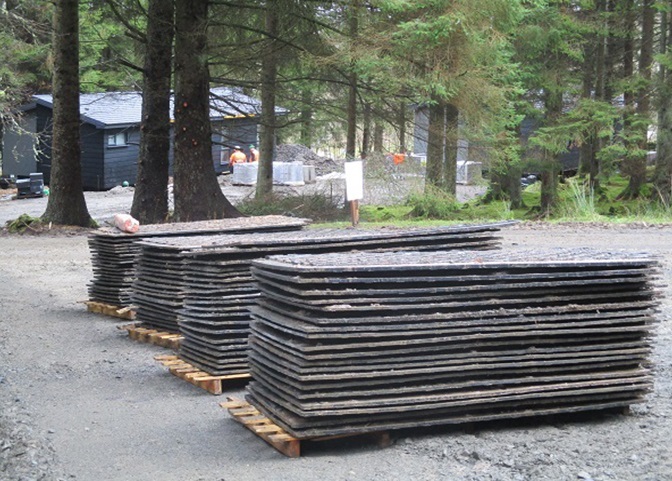 They found the MaxiTrack mats to be highly portable, easy to unload and handle, and quick to install. The high traction tread gave superior grip in wet, muddy conditions, ensuring safe passage for vehicles and workers alike. The team were really pleased with how easy MaxiTrack could be quickly installed, dismantled and re-configured by existing site workers, without needing to hire outside contractors or mobilise expensive lifting equipment. 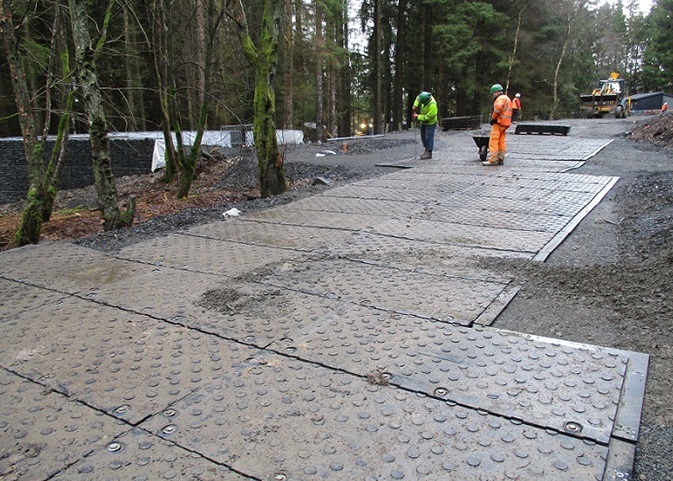 A safe, effective roadway was created through the dense forest in next to no time, enabling the building works to proceed without a hitch.